Can Sorbothane® prevent the force delivered by a wooden mallet from smashing a raw egg? As a proprietary, visco-elastic polymer, Sorbothane® shock absorbing protects delicate parts from damage and returns to its original shape. Converting energy into heat, Sorbothane® combines the characteristics of shock absorption, vibration isolation, good memory and vibration damping to protect any object. Sorbothane® is a thermoset, polyether-based, polyurethane material that combines shock absorption, good memory, vibration isolation and vibration damping characteristics. 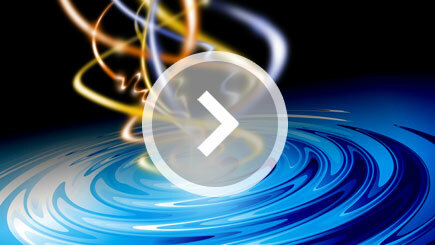 Many materials exhibit only one of these characteristics, but Sorbothane® combines all of them in one stable material. Sorbothane® has wide applications in shock absorption, vibration isolation, vibration damping and more. Watch this video to see the absorbing and dampening powers of Sorbothane®. What are mechanical, fluid-power, and elastomeric material dampers? In this overview video we detail the features of mechanical, pneumatic, hydraulic and elastomeric material dampers for an array of applications. Vibration in industrial machinery often originates from imbalances inherent to motors, gearboxes and other turning components that excite natural frequencies. Dampers in this context are components that counteract and often isolate the vibration source from the rest of the design or machine to prevent its propagation of mechanical oscillation. Sorbothane Spotlight - TV Feature on That's Incredible! Sorbothane® is featured on its first episode of That’s Incredible!, where Dr. Hiles demonstrates its unique ability to absorb shock. In this video, Bob Boyd reviews and demonstrates several applications where Sorbothane® is used to absorb shock and isolate vibration, ranging from sports medicine to the industrial market. Sorbothane® is used as a vibration isolation solution in a helicopter, as captured by a GoPro camera. View the side-by-side comparison of foam weather stripping vs. Sorbothane® being used to reduce vibration. Sorbothane Vibration Isolation - How Is It Different than Rubber? 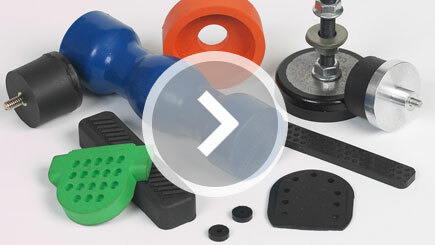 How is Sorbothane® different than rubber? It's softer than rubber and produced using a low-pressure liquid and casing method. Sorbothane® also has a very high damping coefficient and combines shock absorption, good memory, vibration isolation and vibration damping characteristics, whereas many other materials only exhibit one of these characteristics.